This breed has derived its name from the caste of professional milkmen or ‘Gaolies’. From historical records it is evident that Marathas developed this breed into a fast-trotting type suitable for quick army transport in the hilly areas of Gondwana, Madhya Pradesh. This breed has derived its name Gaolao from the caste of professional milkmen or ‘Gaolies’. From historical records it is evident that Marathas developed this breed into a fast-trotting type suitable for quick army transport in the hilly areas of Gondwana, Madhya Pradesh. It was used mainly for military purposes by the Maratha army while invading local Gond Kingdom. During those days it is said that the cows of this breed used to be of fair milk-producing capacity, but during last two centuries selection was directed mainly towards developing a capacity for quick draft which compromised the milk production capability. Low milk production is probably an important factor of decline of this breed in the region. Gaolao is one of the high quality Indian breed cow used for milk as well as draft. The distribution is restricted to few districts of Vidarbha in Maharashtra, adjoining districts of Madhya Pradesh and Chhattisgarh. 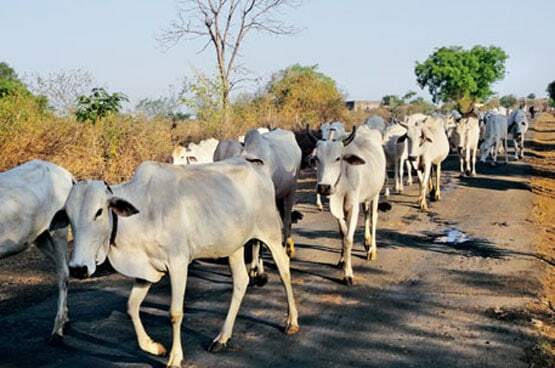 There used to be large herds of Galao in districts and regions like Balaghat, Chhindwara, Durg, Rajnandgaon and Sioni. Last census data shows that the Galao numbers have declined dramatically over last twenty years, the rate of decline is steep compared to other indigenous breeds in India. However, there appears to be no serious attempt to focus on preserving and developing this breed. Physical Characteristics: Galao animals has marked similarity to Ongole although these are slightly lighter and thriftier. They like to move around hence these are animals are reared on grazing in grasslands preserved by the forest department. But with depletion of such grazing land the numbers of these animals are also declining fast. The body is fleshy with short and strong limbs. The hind quarters are slightly drooping. The animals are white or light brown in color, bulls are characteristically brown colored above the neck’s hump. The animals are medium in height but slightly narrowed but long beyond trunk. The animal’s head is elongated, narrow coffin shaped and slightly bent towards the nose, forehead is flat and convex in shape and protruding and ears are short. Orbital arches are not prominent face is slightly convex in profile. Eyes are almond shaped and slightly bent at an angle, medium sized and placed at an elevated level. Horns are small and fat from front. Neck wrinkles are well developed which leads to increased skin surface area for heat dissipation. The neck is short, with a moderately well-developed hump, which is usually loose and hangs on one side. The dewlap is large but the sheath is only moderately developed. Eyes have black rims round the eyes, muffle and hooves. The pasterns in particular are long and sloping. Hooves are of medium size, hard and durable, and suited to hard road and hillside work. The tail is comparatively short, reaching only a little below the hocks. Females are usually white and males gray over the neck, hump and quarters. Bullocks of this breed are particularly suitable for fast road work. They are, however, inclined to be weak in the loins and delicate in constitution and when used as plough cattle remain thin and leggy. The adult cattle weigh between 340 – 440 kg males being slightly heavier. Production and fertility: On grazing or feeding on crop residues on an average Galo cow yields 2 – 3 kg milk per day, i.e. around 470-725 kg per lactation spanning 210 – 240 days. Milk fat content is around 5.5% and depends on feeding practices. Animals with superior production up to 6 – 8 kg per day with milk fat exceeding 5.5%. Under optimum management conditions Galao is known to produce up to 8 – 10 kg milk per day. 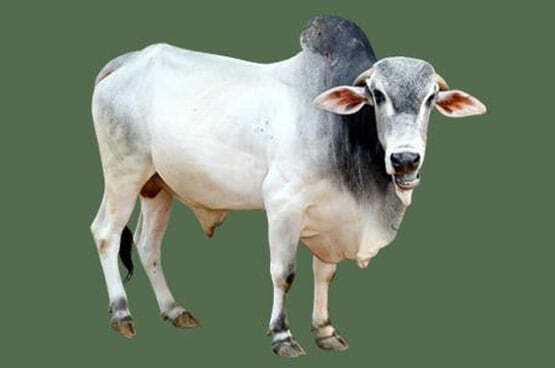 Fertility parameters in Galao is similar to Zebu draft breeds, the age at maturity is around 36 – 42 months, age at first calving around 1300 days and calving interval more than 400 days.